Michele presented to our office after doing a lot of research online for cosmetic dentists. She was very unhappy with her smile as she had bonding on her front four teeth. She reports having the bonding done three times. The existing bonding was chipping, color was monotone with a heavy opaque undertone and just overall unaesthetic. We discussed moving from bonding to porcelain, changing the shape of her teeth, lengthening her central incisors and improving the color. 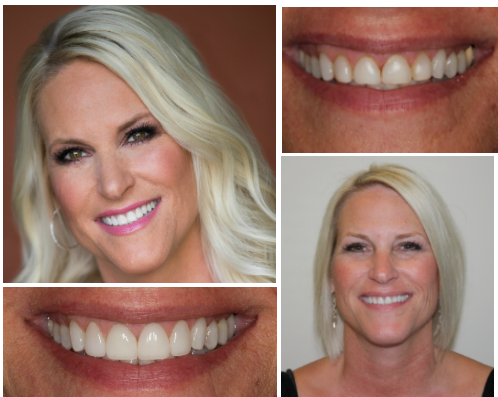 We were able to do four simple veneers and completely transformed her appearance within a couple of appointments. Ever since I was a child I was unhappy with my teeth. I had braces to correct a very large front tooth gap, but was never fully satisfied with the results. I finally decided that my smile needed a permanent solution and through a recommendation of a close friend, I ended up at Dr. Gombert’s Office. 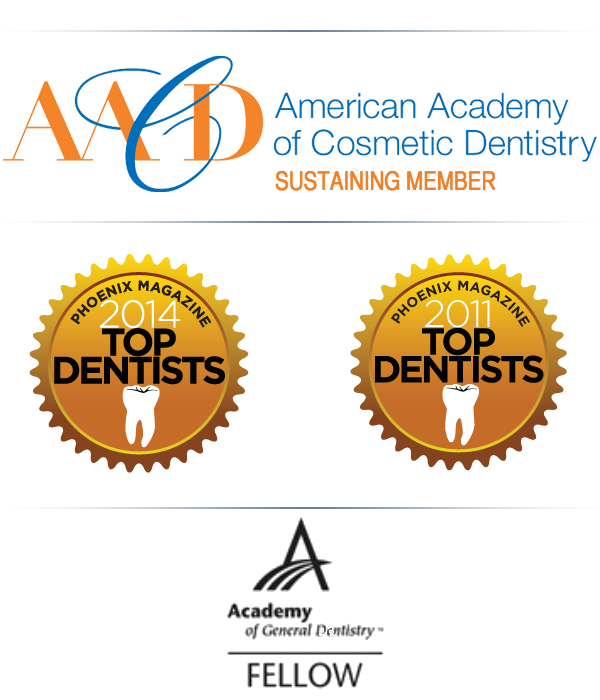 I was blown away with his professionalism and the incredible level of detail he took in consulting with me to make my perfect smile. He and his office worked with me on several options and we agreed upon the best treatment plan. Dr. Gombert took the time to explain every step of the procedure along the way. My teeth are natural and fit my face perfectly. My only regret about my new smile is that I waited so long to see Dr. Gombert – I am thrilled every time I see my new smile in photos. Thank you Dr. Gombert for giving me a new level of smile confidence!